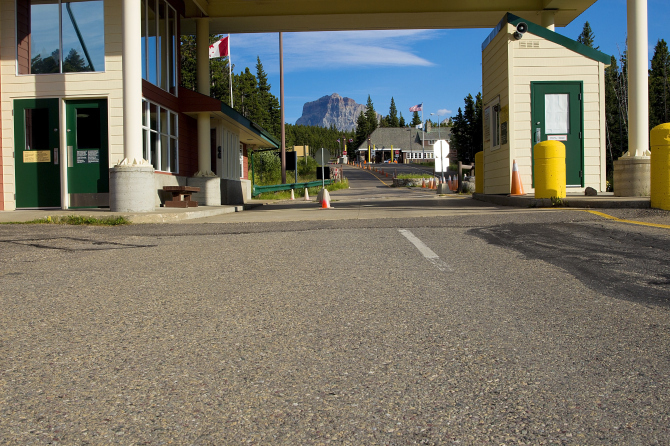 How to challenge an officer’s decision when your Canadian visa is rejected! Why is it so dang hard to challenge an officer’s decision when a Canadian visa application is rejected? This is the question I get more often than any other question from listeners. 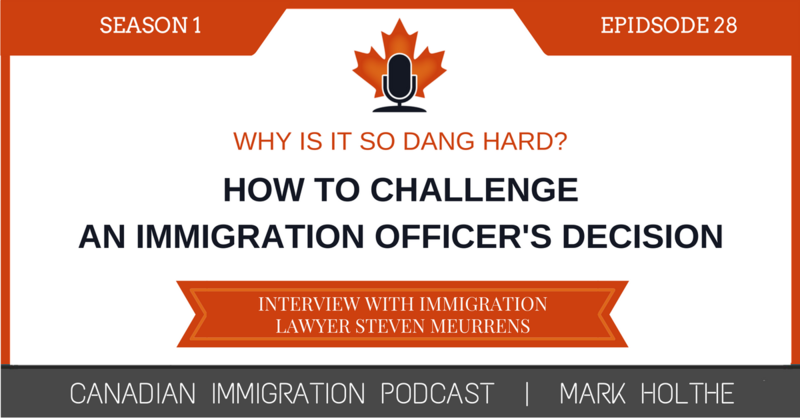 In this episode of the Canadian Immigration Podcast, I invited Canadian immigration lawyer Steven Meurrens to join me to try to unravel this complex question. As most immigration lawyers understand, much of the answer rests in the concept of “Standard of Review“, or in other words, the standard to which an immigration officer’s decision is to be held. If you have just experienced a rejection on a Canadian visa application, this Episode is a must. In my interview with Steven, we examine a very interesting court case, MPSEP v. Tran 2015 FCA 237, that has quietly worked its way to the Supreme Court of Canada. Tran is going to have some pretty huge ramifications for this whole area of judicially reviewing an officer’s decision. Steven shares some great insight on this case and provides a little glimpse into what he thinks the SCC could possible do. Once the decision comes out later next year, we will have to have him come back on the Podcast to see how close he really was. Steven Meurrens is a Canadian immigration lawyer and a partner with the law firm of Larlee Rosenberg in Vancouver, British Columbia. The firm focuses on all areas of Canadian immigration law. Steven has significant experience representing corporate and individual clients in obtaining visas and permits for many business-related purposes. In addition to his business immigration practice, Steven has extensive experience in family-based immigration matters and a very active practice assisting people who have been denied entry to Canada and to those who have had their visa applications refused. He has appeared before the Immigration and Refugee Board and the Federal Court of Canada. Steven is the Chair of the Canadian Bar Association’s Immigration Subsection in British Columbia. He is a published columnist, a regular panelist at immigration law conferences, and is the author of a very widely read blog on Canadian immigration law called Meurrens on Immigration. If you haven’t had a chance to read Steven’s blog, you had better go check it out. The content on this blog is exceptional. You will also need to check out his Immigration Podcast called Borderlines that he hosts with Peter Edelmann. How he got into immigration. In order to help you jump to the areas of most interest to you, I have included below some time stamps for some of the significant topics covered in this episode. 3:55 – Who is Steven Meurrens? 7:40 – Where does Steven Meurrens blog? 10:00 – How did he get into Immigration Law? 21:22 – Why is Officer discretion so important to the Standard of Review? 22:14 – Who are considered part of administrative tribunals responsible for enforcing or administering the Immigration and Refugee Protection Act and its Regulations? 25:10 – Reasonableness – why is this the standard of review for most immigration decisions in the Federal Court? 35:45 – What is the concept of standard of review? 38:00 – What does it mean for something to be procedurally fair? 41:38 – Discussion on the Federal Court of Appeal decision in Tran. 59:45 – How to reach Steven Meurrens. Well respected immigration lawyer practicing with the law firm of Larlee Rosenberg in Vancouver, British Columbia. The firm focuses on all areas of Canadian immigration law. 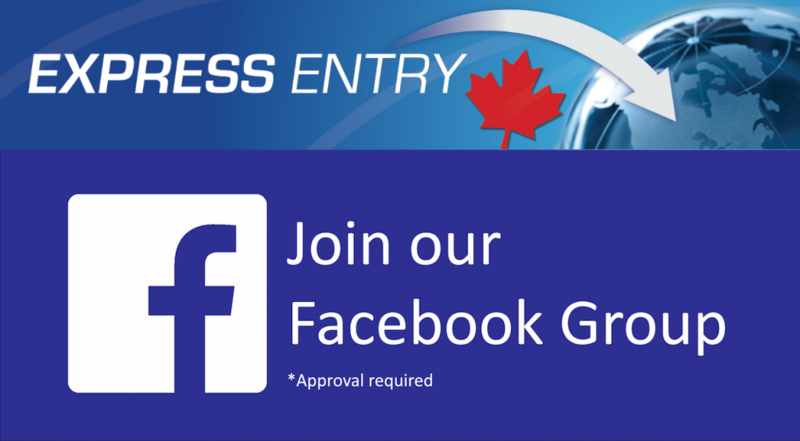 Advising local and multinational corporations on the movement of key employees, and individuals and families who dream of building a future in Canada. Steven is a Partner in the firm with significant experience representing corporate and individual clients in obtaining visas and permits for many business-related purposes. 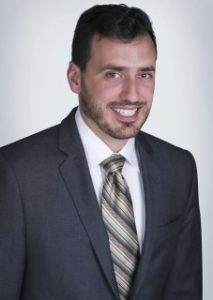 In addition to his business immigration practice, Steven has extensive experience in family-based immigration matters AND a very active practice assisting people who have been denied entry to Canada and to those whom have had visa applications refused. He has appeared before the Immigration and Refugee Board and the Federal Court. Steven is the Chair of the Canadian Bar Association of British Columbia’s Immigration Subsection. 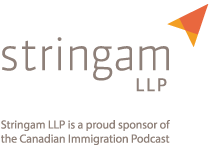 He is a published columnist, a regular panelist at immigration law conferences, and is the author of a very widely read blog on Canadian immigration law called Meurrens on Immigration which we will talk about in a little bit. QUESTION: How did you get into immigration? QUESTION: Can you tell us a little about your Blog? I am also delighted to hear that you are also wading into the wonderful world of Podcasting. QUESTION: Can you tell us a little bit about your Podcast? Focus on the legal side of immigration and delve into the wonderful world of administrative law in the context of Canadian immigration applications. If you recall, one of Steven’s specific focuses within his practice is assisting people who have been denied entry to Canada or to those who have had visa applications refused. Challenging an officer’s decision is not always an easy thing. Sometimes, there are clear pathways with fairly well defined appeal mechanisms. However, in many cases, the only recourse is to seek redress through Federal Court. When challenging an officer’s decision in Federal Court, administrative law principals are triggered. Today I have invited Steven to join me to help clear up, if possible this very confusion area of immigration law……..in essence this is really the core of what immigration “law” is all about. Why is it so dang hard to challenge an officers decision? • There is often not a right answer to a case. Rather, there is a range of possible answers. • That officers cannot fetter their discretion by relying on manuals as if they are law. • The tension that this produces between courts who view visa officers essentially the same as they view the Immigration and Refugee Board vs. program officers who view themselves as implementing and administering departmental programs. • My Gupta as an example. • The Koo example of where there can be problems if officers have discretion in the interpretation of law. • The FCA decision in Tran. • Plug that Steven will be back on when Tran is released. QUESTION: How can people reach you? Thanks for being on the Podcast Steven. Hello mr. Mark holthe.i am from india,will want to join your affiliate program. I had applied for a ATIP, and yet again the same reasons were given stating that I do not have good enough ties with my country of residence, that i will be able to leave Canada. Thats absolutely ridiculous when I have attached a letter from my professor stating that my expenses will be covered and my monthly stipend from the graduate school will be provided till the end of my studies. I do not understand what the immigration officer is expecting me to have!!!! I really want to challenge his decision of denying me the travel visa. Please let me know how to go about it. I hope it isn’t a too costly affair though.